In this slightly modified “Throwback Thursday” meme, we are looking back over the course of the past month in order for us to look forward for this summer. Back during HepsWeek in early May, Alexi Pappas not only met the Olympic standard in the 10km – she “shattered it” by running a new personal best and setting a Greek national record in 31:46.30 at the Payton Jordan Invitational. The Olympic standard is 32:15.00. 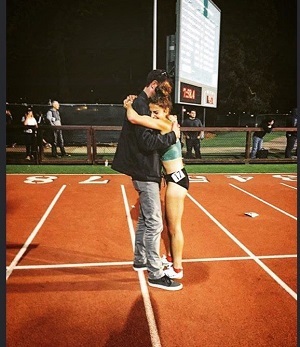 The Big Green alumna was feeling quite blessed with her race result as she got emotional during her post-race interview with Flotrack and with her coach after her race. Pappas can rest a little these next few weeks as she focuses on her red carpet debut at the L.A. Film Festival where her movie – Tracktown – has its premiere on June 4th. It was announced yesterday that Dartmouth alum Adam Nelson will be seeking his fourth Olympic team. Yes, he did “retire” in 2013 but he admitted to ESPN that he had been mulling over the idea of returning to the shot put circle since late last year and finally decided to pull the trigger this spring. Nelson has previously competed in the 2000, 2004, and 2008 Olympic Games for Team USA, winning a silver in 2000 and a gold in 2004. 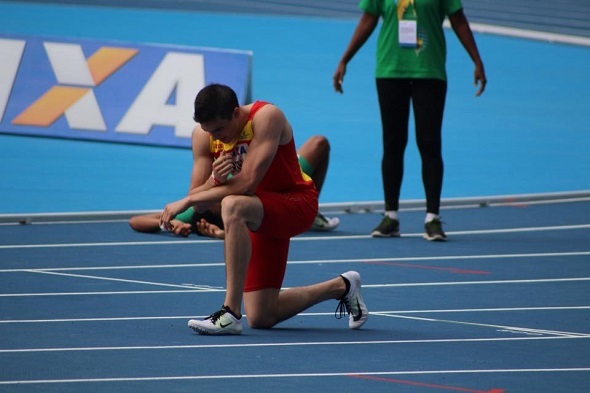 He is close to hitting the Olympic standard of 20.50m – on April 30th, he competed at a meet in Athens, Ga., winning in 20.48m and ranking him ninth in the American rankings to date. For Pappas and Hortelano, the Olympic dream will only be finalized once their respective countries select them for their Olympic team. For Nelson, he will need to finish in the top 3 of the USA National Championships in early July. Hopefully these three – and many more HepsNation members – will be booking their trips to Rio very soon. This entry was posted on Thursday, May 26th, 2016 at 5:08 pm. It is filed under Olympics, Spotlight. You can follow any responses to this entry through the RSS 2.0 feed.